A construction company has just won a contract to repair the roof of a cathedral, and needs to build a scaffold that will reach the top. The scaffold needs to reach the roof of the cathedral, and be able support the weight of the company's cement mixer. 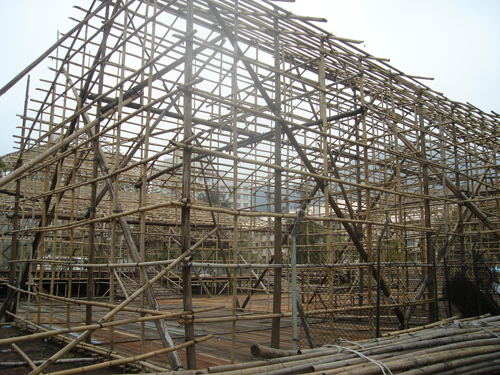 The company has asked you to find out the most efficient way of making the scaffolding. 1. Produce a model of the scaffolding using only the drinking straws and sellotape provided. 2. The straw scaffold must be able to hold a beaker of water (which models the cement mixer) at a height of at least 50cm from the floor. 3. The scaffold must stand without support. The best design will be the one that can bear the greatest volume of water, using the least materials. You should record the number of straws you used and the greatest volume of water your scaffold would bear. You should also work out a method to compare your structure with other groups'. STEM - General. Real world. Practical Activity. STEM - design technology. Calculating with ratio & proportion. Maths Supporting SET. Team-building. Design. Mathematical modelling. Logo.